Is there a better alternative to MacX DVD Ripper Free Edition? 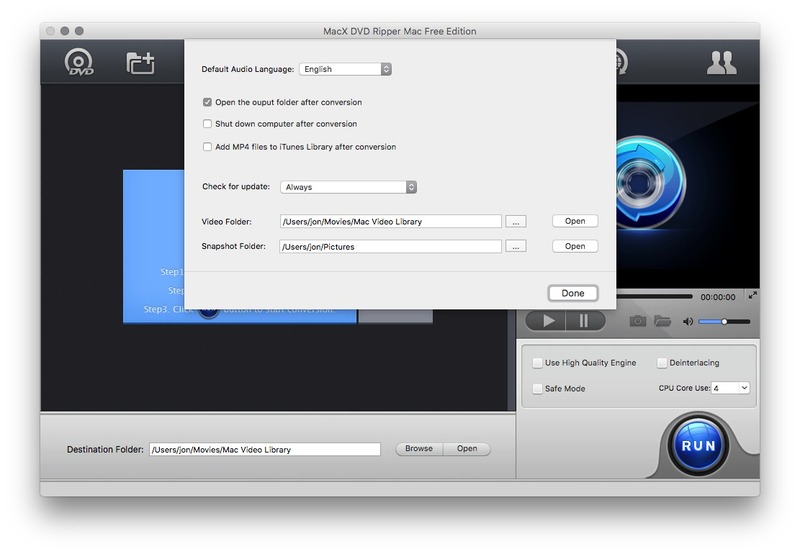 Is MacX DVD Ripper Free Edition really the best app in Video category? Will MacX DVD Ripper Free Edition work good on macOS 10.13.4? 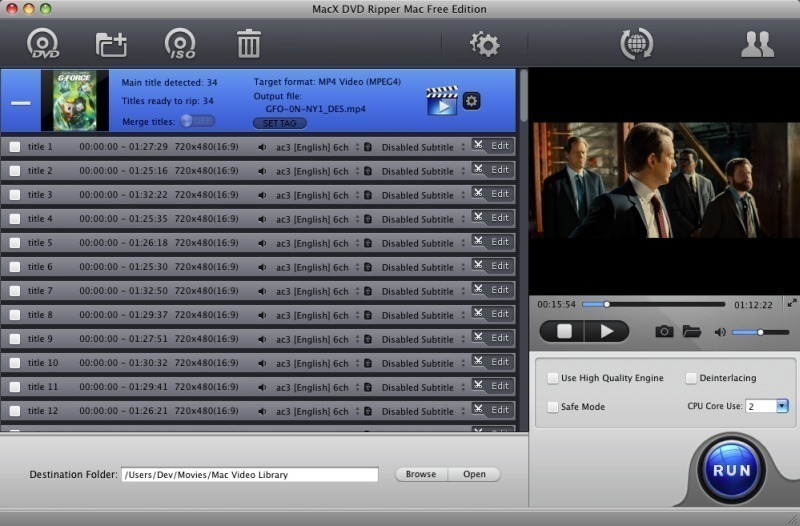 MacX DVD Ripper Free Edition helps you backup and rip DVDs to MOV, MP4, M4V, etc., compatible with iPhone, iPod, iPad, iTunes, Apple TV, and more. It supports ripping both homemade and protected DVD movies, regardless of CSS encryption, Sony ARccOS, region protection, UOPs, APS, or Disney copy protection, while delivering fast conversion speed and flawless output video quality. Besides, this free DVD ripper is also able to extract audio and snapshot images from DVD, edit video, adjust parameter settings, etc., to meet users' personal demands. Rip any DVD to MP4, MOV, M4V, MPEG, iTunes, Apple TV Video. Easily remove any DVD copy protections, such as CSS encryption, Sony ARccOS, region protection, UOPs, APS, Disney copy protection. Provide fastest ripping speed and superb image/sound quality thanks to the embedded multi-core CPU, high quality engine, and hyper-threading technology. Edit video: trim, crop and merge video, add external subtitles, and tweak parameter settings to customize individual videos. Extract audio from DVD in MP3 format and capture PNG pictures from DVD movies. 100% clean and safe. No malware, adware, or spyware.